At Home with the Hinkleys: April Cara Box Exchange! I am linking up with Kaitlyn/Wifessionals for another month of Cara Box exchanges! This month's theme was picked for Earth Day, so all things 'green'! I got partnered with Julie at Oh My Tookies, and Bekah at Re*Solve. It was really great getting to know both of these ladies! I especially connected with Bekah and her blog. She is totally awesome, and you should definitely check her blog out! Here is the whole shebang! Blue sparkle nailpolish and a set of nail stuff with clippers, a toe separator and a nail file. Awesome! My toes are painted as we speak! Method brand hand sanitizer (Method is a really awesome earth friendly brand - love their products!) and some Arbonne shampoo and conditioner samples. I have been reading about Arbonne and it seems like a really great line of products - the are all vegan and without the dangerous chemicals and such. I am excited that I get to try some of them out! Going to try out these protein shakes too! No bad stuff, win! I ate these 2 seconds after photographing them. They taste great! 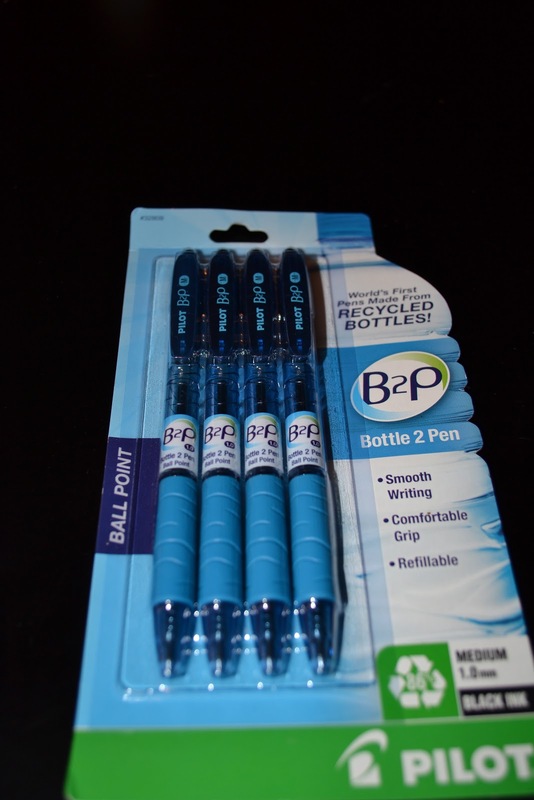 They make pens out of old bottled water! Is that cool or what?! See, there was just so much to be excited out this Carabox, thanks so much Bekah! I loved it, and I loved that I got to 'meet' you and know you better! 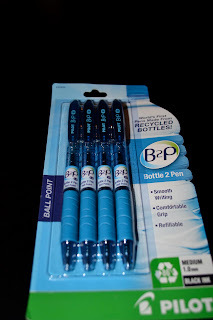 Those pens are so cool! What a great idea to make them out of old bottles!!! 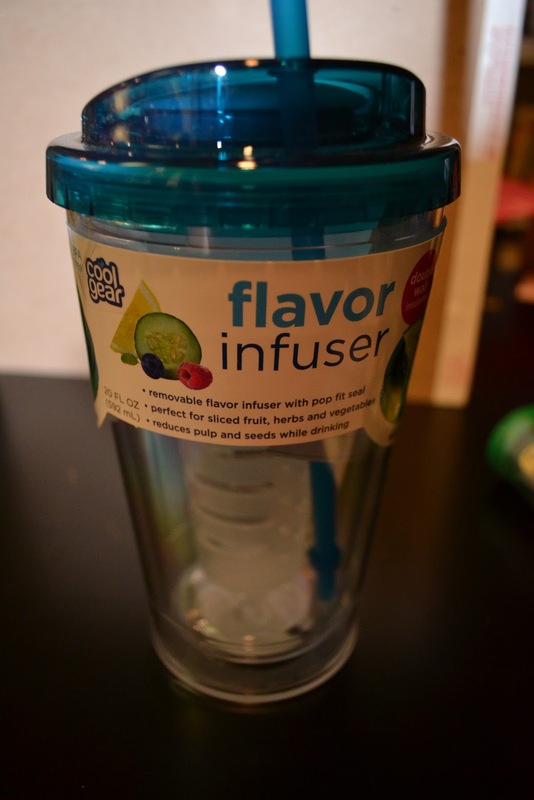 I'm jealous of your great water infusing tumbler! :) Looks like you got some great goodies! Stopping by from the Cara Box link up! It looks like you got some great things. I love seeing what other people get, it gets my creative juices flowing for the next month! That bottle is awesome. I want one. I use those pens, just an FYI, don't leave them in your car in the heat. It ruins the pen. That's a really great box! Love the pens.